Cynthia Jurs was featured as guest teacher on The Shift Network’s Global Shift Meditation, hosted by David Nicol on July 1, 2017. Over the past 25 years, Cynthia Jurs has brought the Earth Treasure Vase practice to over 35 communities in all 5 inhabited continents. 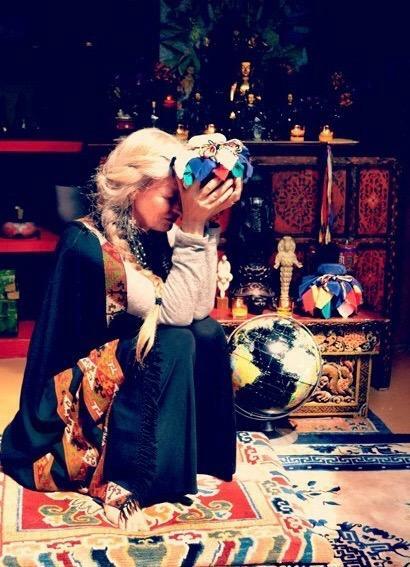 Through this great work, she has co-created an extraordinary global mandala of prayers and intentions for the healing and protection of the Earth. In this recording, we will have the privilege to participate with Cynthia in a special experience of this profound global meditation and hear more from Cynthia about the origins and current activities of this magnificent global project, and be nourished by the depth and maturity of this special practice. This entry was posted on Friday, September 29th, 2017 at 5:29 pm	and is filed under News. You can follow any responses to this entry through the RSS 2.0 feed. You can trackback from your own site.